When in London, it is very important to choose an appropriate accommodation, as there are very many touristic objectives and probably very little time. This is why, usually, it would be recommended to choose a hotel that is located in one of the popular Central London areas. And do not worry if you are running on a tight budget. There are many options suitable for your needs and tastes. 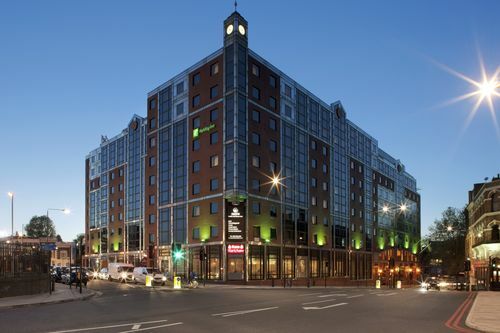 One example of such an accommodation is the Holiday Inn London Kings Cross/Bloomsbury Hotel. With great facilities and special packages for families, you will certainly be impressed not only by its perfect location, but also due to the number of nearby public or private means of transport, as well as popular local attractions. Thus, you can simply visit the British Museum or do some shopping sessions in the Bloomsbury department whenever you want to. We are sure that you will also enjoy the fitness centre and the spa sessions that can turn your holiday into a relaxing experience. In order to get a Luton to Holiday Inn London Kings Cross/Bloomsbury Hotel Transfer by rail there are two main options. First of all, you could take the bus from Luton Airport Bus Station (every 10 minutes), followed by a train from Luton (every 30 minutes) and a 22 minute walk. This journey will take about 58 minutes in total. The second option is a bus from Airport Bus Station (line 888 – every 10 minutes) via Luton Airport Parkway Station (every 20 minutes), Marylebone, Baker Street (every 5 minutes), and ending with a 17 minute walk. This journey lasts about 1 hour and 37 minutes. A Luton to Holiday Inn London Kings Cross/Bloomsbury Transfer by car can be done by taking the M1 motorway. Luton Airport is at a 32.7 miles distance from Holiday Inn London Kings Cross/Bloomsbury. This journey will take about 47 minutes, without including traffic. A Luton to Holiday Inn London Kings Cross/Bloomsbury Transfer with 247 Luton Airport Transfer is going to take about 1 hour and 9 minutes, including rush hour traffic. The price for a Luton to Holiday Inn London Kings Cross/Bloomsbury Transfer starts from 56 GBP.